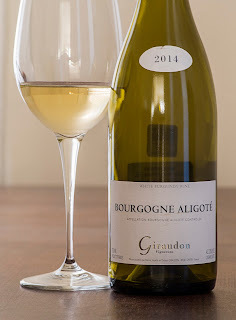 Reflections on Wine: Affordable White Burgundies - They do Exist! Affordable White Burgundies - They do Exist! Affordable White Burgundies .... Including a Sauvignon Blanc, yes, a Sauvignon Blanc! There are a few things certain in life: taxes, Hollywood will soon release another comic book movie, and white Burgundies are expensive. Actually while this last claim is generally true, there are some very impressive white wines from Burgundy that won't result in you taking out a loan. Here are a few of the better examples I've tasted recently. Everyone knows that Chardonnay is the white Burgundy, right? Well, there are a few exceptions and here is one that few people know, as it's made from Sauvignon. Saint-Bris is named for the small village of Saint-Bris-les-Vineaux in northern Burgundy, in the Yonne department south of Chablis. Here both Sauvignon Blanc as well as Sauvignon Gris are used to produce a medium-bodied, dry white; this particular example has textbook Sauvignon perfumes, with notes of hay and freshly cut grass, along with a subtle notes of melon. It's very well made and is quite refreshing and delicious and would be ideal paired with simple seafood. Another white variety that performs well in Burgundy is Aligoté. While this is actually among the top 25 most widely planted varieties in the world (it's also grown in such countries as Romania, Bulgaria and Ukraine), it is not that well known by most consumers. In Burgundy, it can be used in a sparkling wine known as Cremant de Bourgogne, but in this instance, it's the basis for a dry, very flavorful white wine with appealing apple flavors and lively, lip-smacking acidity. Giraudon, located in the town of Chitry in the Auxerre department near Chablis, specializes in Aligoté and makes a typical delicious example that would be perfect with shellfish. What's best about this wine - and the Saint-Bris mentioned above - is the reasonable price, less than $20 a bottle on US retail shelves. Now on to Chardonnay! Bourgogne Blanc is almost always an excellent value, as some of the most renowned producers of Burgundy produce a version of Bourgogne Blanc that is nowhere as expensive as their most famous offerings; even better is the fact that these offerings of Bourgogne Blanc are very impressive wines in their own right. J.J. Vincent is an excellent producer, best known for Pouilly-Fuisse; his versions are regularly excellent, but given the reputation of that wine, you have to pay a bit of a premium for his examples. 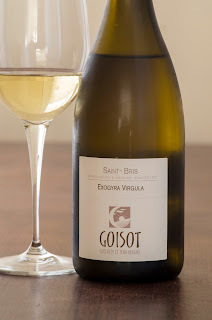 Not so with his Bourgogne Blanc - this 2014 has aromas of yellow flowers, mustard seed and a note of vanilla; there is good richness on the palate, good acidity and persistence, and very nice Chardonnay character. Enjoy this over the next 2-3 years. If you must have white Burgundies from such AOC as Corton Charlemagne or Puligny Montrachet, you'll probably pay dearly for them. Head to the Maconnais area of southern Burgundy and you'll find any number of well made white Burgundies that are fairly priced. Examples include Macon, Macon Lugny and Saint-Veran. One wine from this area that should be better known is Viré Clessé, named for two towns in the appellation. 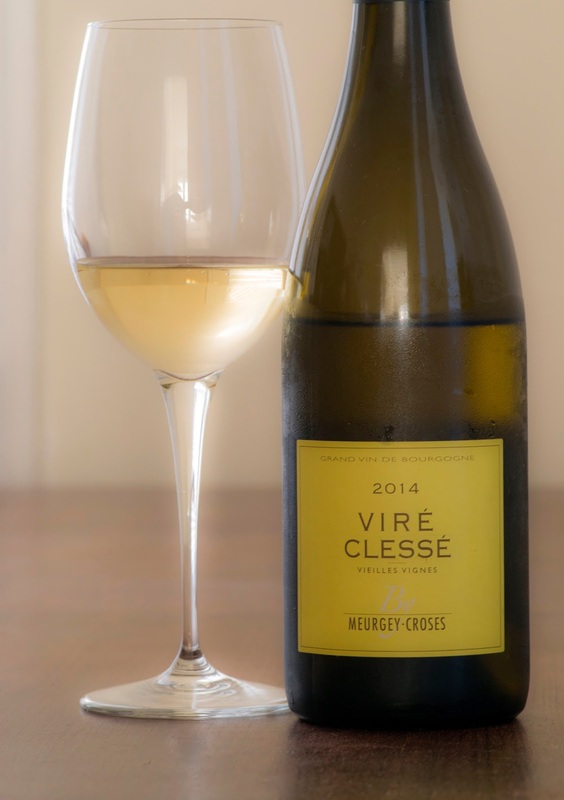 The 2014 from Muergey-Croses is one of the finest white Burgundies in its price range I've tasted in years! Offering expressive aromas of fresh lemon, lilacs and a hint of grapefruit, this is medium-bodied with very good depth of fruit, and has excellent freshness and ripeness with very good acidity. This is a beautifully balanced wine with impressive varietal character and excellent complexity. What's most impressive about this wine is that this is a "vielles vignes" selection, meaning one from old vines; in this case, 65 years old. These older vines produce extremely flavorful fruit; this producer vinified most of this wine in steel, with a small percentage in wood, resulting in a multi-layered wine. For a retail price of around $30, this is an excellent value! Pair this with poultry, most seafood or goat cheese and enjoy this over the next 2-3 years, perhaps longer.